Donna Russo oversees Classico’s operations, ensuring that all work runs smoothly from initial planning stages to completion. She keeps clients advised of every aspect of a project, communicating with them regularly to review day- to-day progress. Donna began in the construction business as a hobby in 1996 when she started purchasing and restoring single family homes for investment purposes. Several years later, her “hobby” developed into a passion and a dedicated career. She pursued further education at New York University, including course work in construction management, and project planning and scheduling. Donna holds a B.S. from St. John’s University. Donna has extensive experience in the real estate industry, and worked as the Chief Operations Officer at a major financial services company, as well as holding a position as a financial planner at Ernst & Young, LLP. Donna has also worked extensively for The State of New York and The New York City Police Department throughout her early career. Her diverse skills and experience give Donna a competitive and creative edge which ensures that Classico will complete a project to a client’s full satisfaction, on time, and within budget. 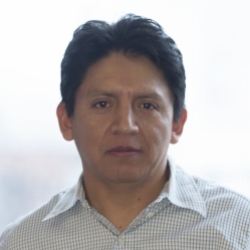 Javier Tandazo is Classico’s On-Site Lead Project Manager who oversees all construction, redesign, remodeling, and restoration projects. Javier has over twenty years of experience in the construction industry. He began his career employed by many of the premier builders in New York and Connecticut, before opening his own general contracting company in 1999. Javier is a skilled master craftsman specializing in complex custom carpentry solutions. His responsibilities include supervising employees and maintaining the high quality standard of work for every project and every client. His focus on the on-site daily operations at Classico guarantee that all deliverables are met with total client satisfaction. In addition to the expertise of Donna and Javier, Classico Construction employs a team of skilled, professional craftsmen to aid in the execution and timely completion of all projects. Under the supervision of our on-site Project Manager, these skilled employees use their years of experience and attention to detail in order to complete every aspect of every project to our client's satisfaction.